Sorry I've been so out of touch. I plead a tired old "too much to keep track of" and "I promise a comprehensive update" on things like deOccupy Honolulu's 1 year anniversary. The one continuous year occupation of the Ward and Beretania corner makes it the most enduring encampment in the entire Occupy Movement worldwide. But that's a long story. Just wanted to remind all that Day 5 of the trial of Laulani Teale will be today (Friday, November 9) at District Court. It's scheduled all day on the 7th floor starting at 8:30am in courtroom delta (7D) and changing in the afternoon at 1:30pm to courtroom alpha (yup, 7A). Laulani Teale is the activist who was arrested on disorderly conduct charges when trying to talk to Mayor Carlisle at the last May Day Lei Day celebration. Iʻm a witness. Or I should say, my video recording is a witness. 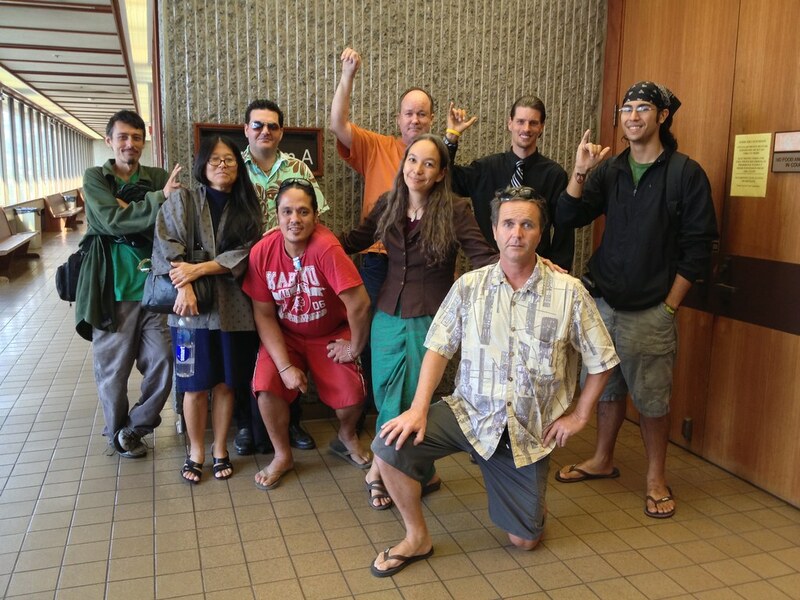 Yes, Hawaii Guerrilla Video's Kamuela Vance Viveiros will be covering the courtroom proceedings, but I will be hanging out in the witness room or out in the hallway like last time. I'm a witness so I can't be part of what's going on inside. So no live streaming, live tweets, etc. But I wonʻt be lonely because there are a bunch of witnesses and weʻll all be hanging out. A boombox and a cooler and a dollar at the door. Not quite, but kinda. If youʻre around downtown Honolulu tomorrow drop by and say hello. District Court at 1111 Alakea, 7th floor. Iʻll have my streaming rig so I can interview you if you have anything to say, or you can follow my "hallway tweets" at @hdoug on Twitter. And I hope to have more news for you tomorrow afternoon.